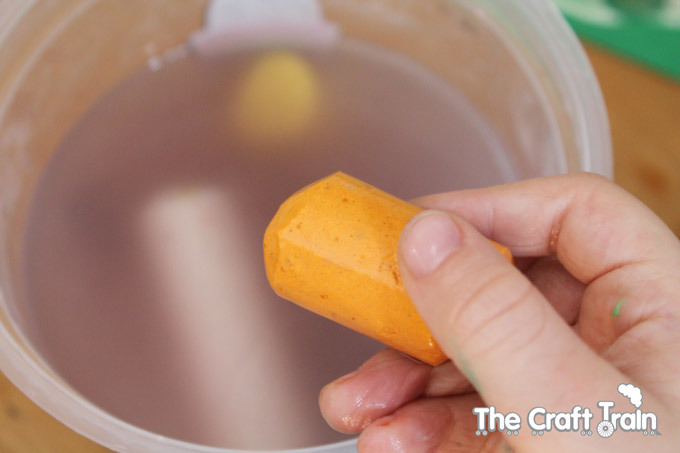 Have your kids ever left their sidewalk chalk out in the rain? 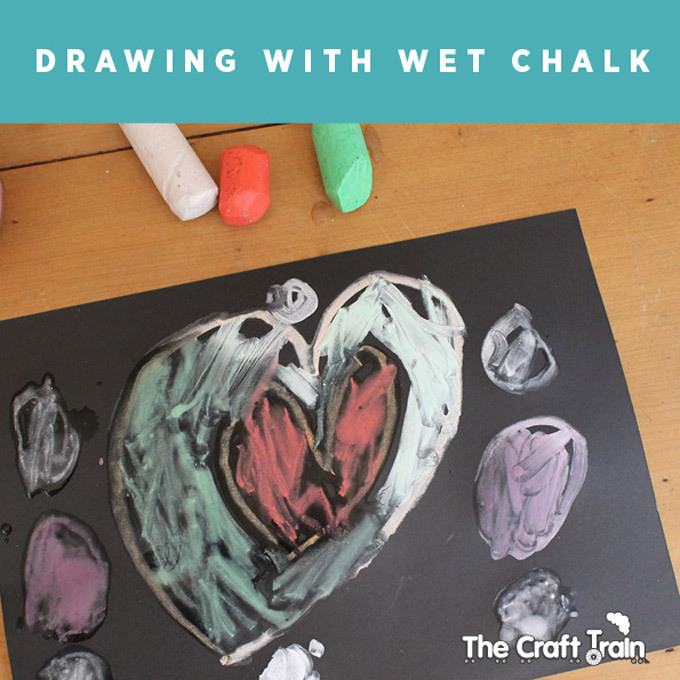 If they have you’ll probably be familiar with how soggy it gets, and if you’ve ever tried to draw with it while it’s wet you might have noticed it has a consistency like paint. 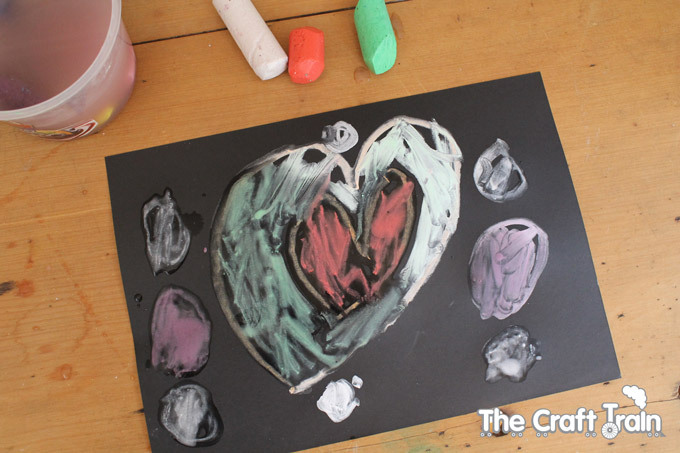 We decided to make this mistake on purpose and use it as an art activity. 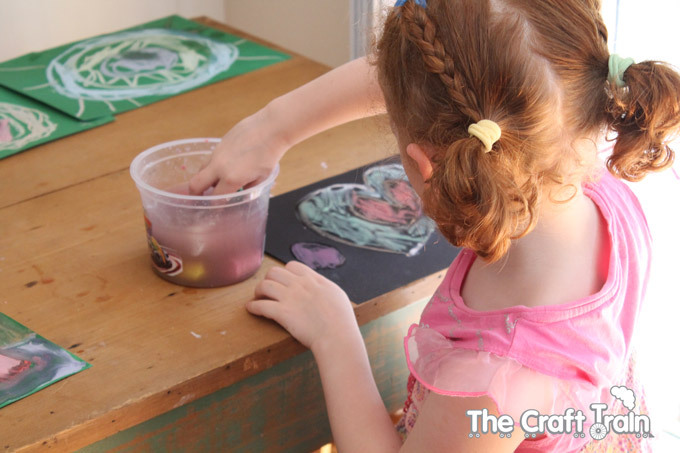 It’s fun, easy, and gives the kids a different texture and medium to experiment with. 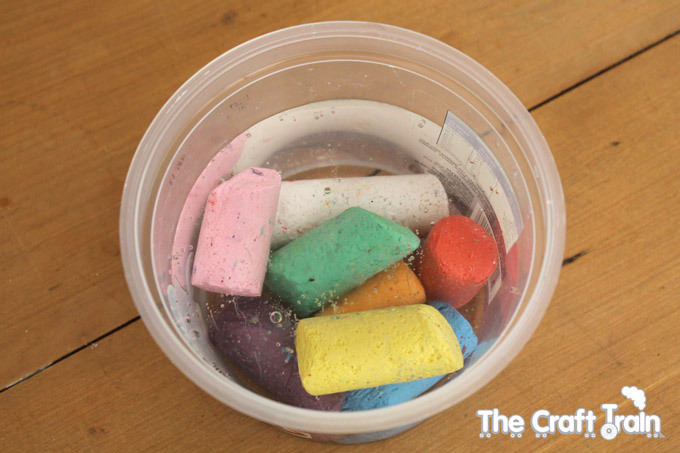 To do this activity put some sidewalk chalk pieces in water to soak for at least 10 minutes before you’re ready to start creating. This gives it a chance to soak up some of the water and go a little bit soft. 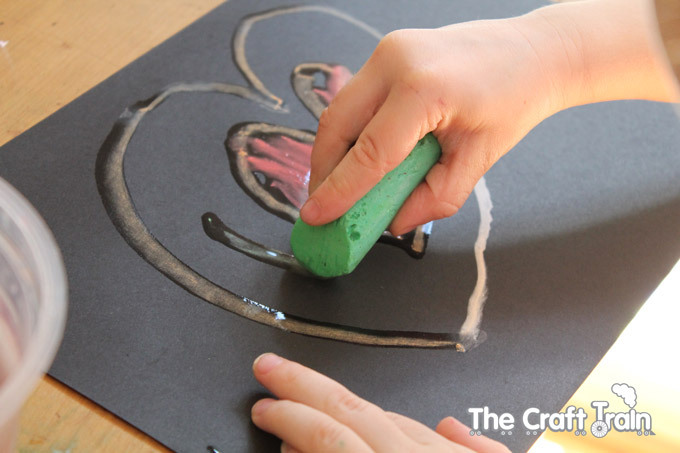 We tried both black and dark green heavy paper stock for drawing on, and the black was by far the more effective result, but you could experiment with lots of different colours or just make use of what you have. 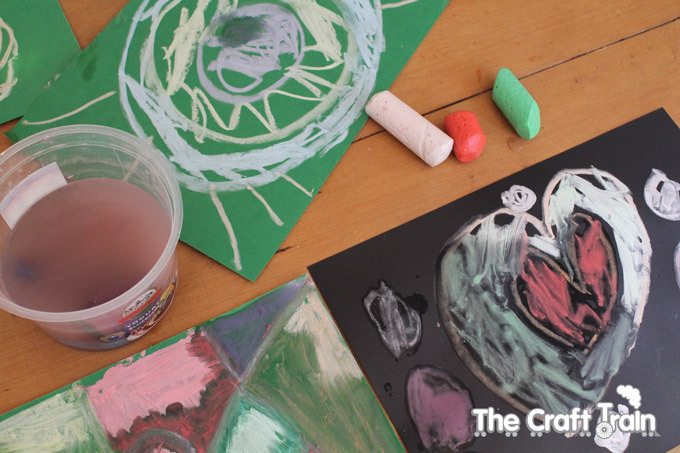 For more creative and fun art ideas visit our Art Ideas board on Pinterest.